Great opportunity to invest in downtown North Adams. Located a short walk to MOCA this family owned 4 family has off street parking , level back yard. 4 units one on each floor 1 and 2 bedroom units. Good cash flow. The source of all representations are from the seller or a public source; broker has not verified same. It is recommended that buyer independently verify all information. Interior Space: 2884 sq. 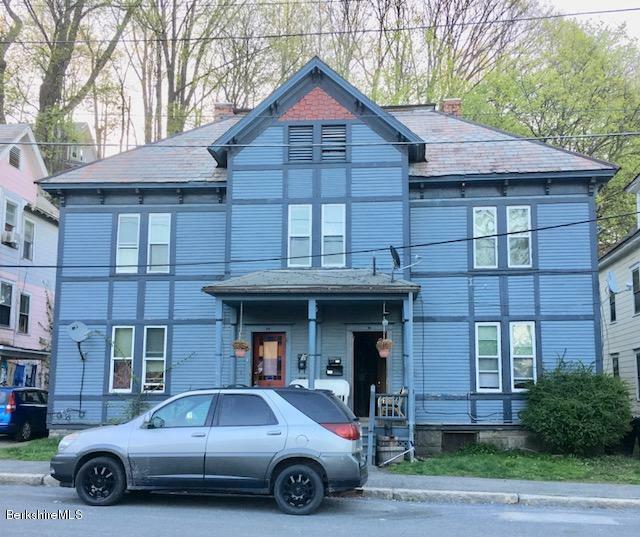 ft.
Last Updated: 02/06/2019, Copyright 2019 Berkshire County Board of Realtors, Inc. All rights reserved. This information is deemed reliable, but not guaranteed. The data relating to real estate displayed on this Site comes in part from the IDX Program of the Berkshire MLS. The information being provided is for consumers’ personal, non-commercial use and may not be used for any purpose other than to identify prospective properties consumers may be interested in purchasing.